Check out our Toss-Up Cake! 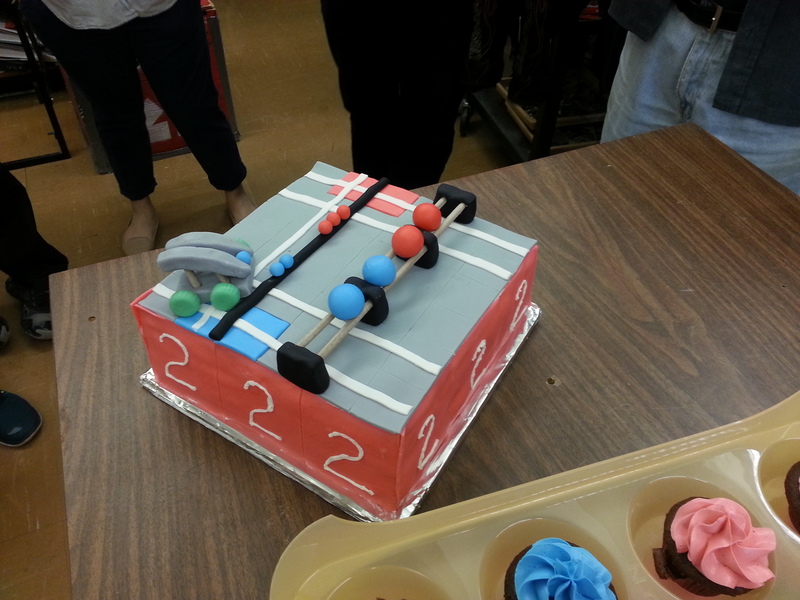 David Zheng	/ May 7, 2014 / Comments Off on Check out our Toss-Up Cake! With the conclusion of the VEX Toss Up season in BC, the Gladstone Robosavages have finished the year with a total of 48 awards from 7 different tournaments. 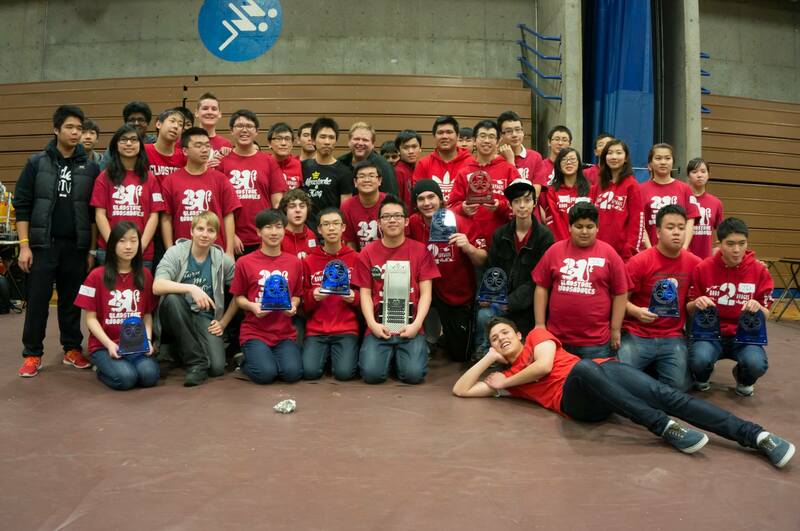 We ended the BC VEX Toss Up season with another 9 trophy haul at the Pacific Northwest Championship held by BCIT & PYRS. That brings our season total to over 40 trophies! The next tournament the Gladstone Robosavages are competing in is the Pacific Northwest Regional Championship at BCIT on March 8th. There are currently 24 teams registered for the A division and 53 teams registered for the B division. Gladstone will be sending 15 teams to compete. Doors open at 8am on Saturday so come out and cheer on the Gladstone Robosavages! 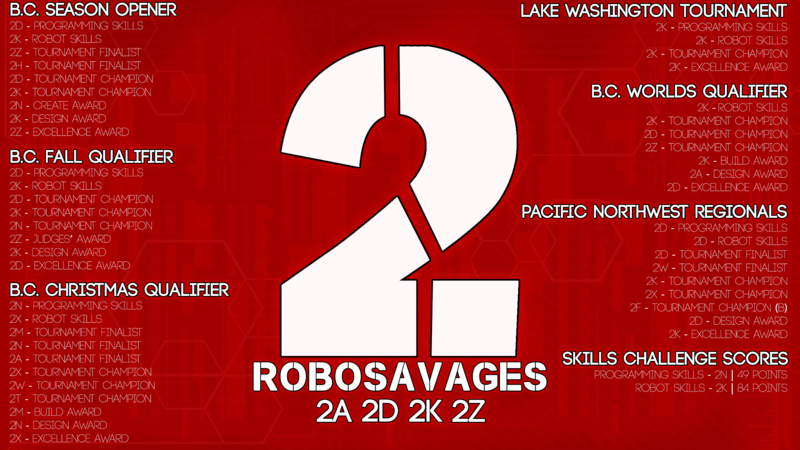 The Robosavages sent three teams down to Lake Washington to compete. 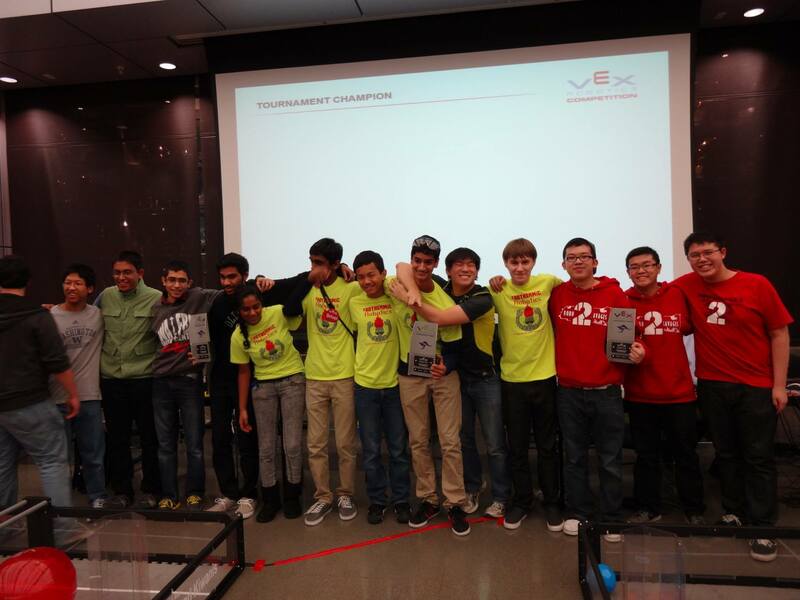 Exothermic Robotics 10Q picked 2K and became the eventual tournament winners alongside 917B. 2D and 2Z both made the playoffs with Team 1492 W.A.S.A.B.I. Robotics, falling short in the semifinals. 2K also came home with the Excellence Award and two top skills awards. Great effort from all three teams. See you all soon at the BC Provincials! David Zheng	/ November 16, 2013 / Comments Off on BC Fall Qualifier Results! 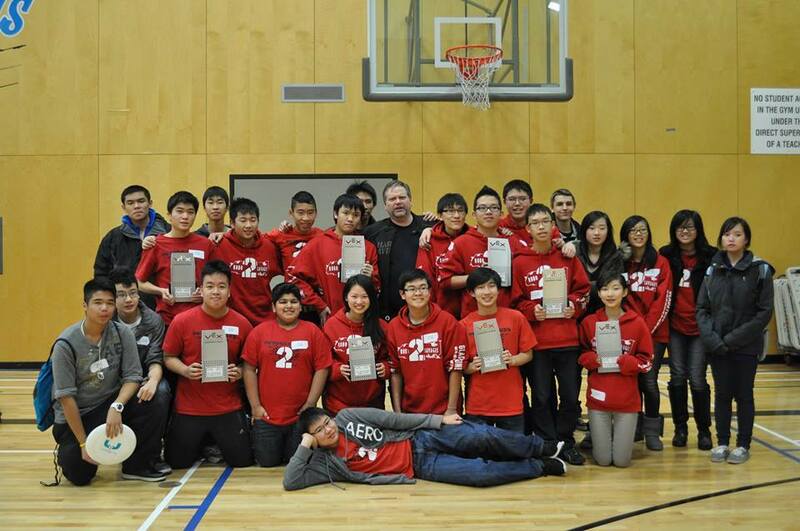 Thirteen Gladstone Robosavages teams attended the BC Fall Qualifier at McMath Secondary today in Richmond. We continued our strong start to the Toss Up Season, with 9 of the 13 teams making the elimination round. When the dust settled, the Gladstone alliance came out on top versus the Isfeld alliance. It was a close best of 3 that was decided by a few points each match. High hanging with a ball is scary. I would also like to congratulate other teams that were just shy of getting an award, 2A, 2B, 2F, 2H, 2M, 2S, 2T, 2V, 2W. Big thank you to Mr. Ablett, our parents and our sponsors. Our success is driven by them. See you guys soon at the BC Christmas Qualifier!